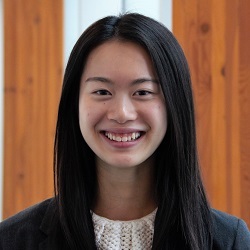 Wendie Wu is a third year Chemical and Biological Engineering student who is a member of the senior lab team. She has been involved in developing the iodine clock timing mechanism for the 2018 Senior Chem-E-Car. She has also contributed to the 2017 Junior Chem-E-Car, as a member of the mechanical team, for designing and constructing the water tank on the vehicle.